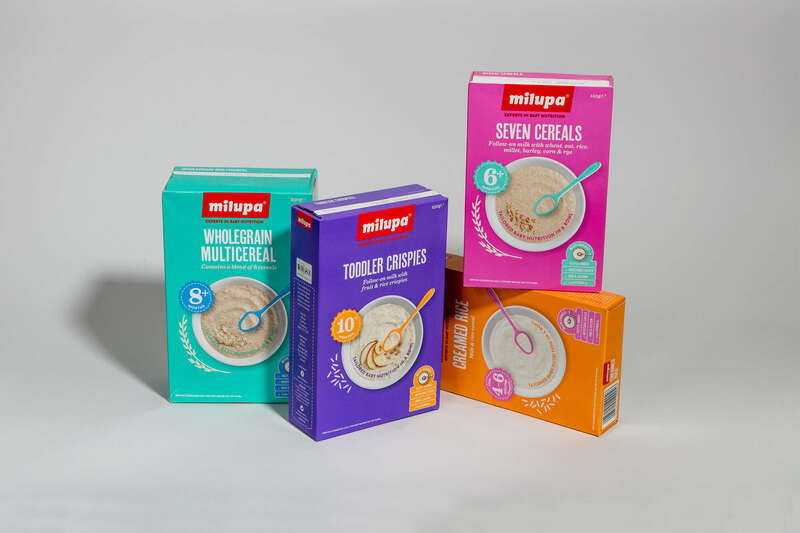 We worked with Danone Ireland on redesigning the packaging for the Milupa baby food range. The existing design had become very staid and needed revitalizing to make it more appealing to their target audience. They also wanted to make it easier for the consumer to identify each flavor in the range and to give it shelf standout in a very crowded babyfood market space. We designed every aspect of the packaging, creating little information graphic elements which helped communicate the product benefits in a visual way. Project also included photography art direction.